Located on Boston Harbor, the World Trade Center Boston (WTC) rests on fill material supported by a granite block seawall surrounded by caissons supporting the pier apron. 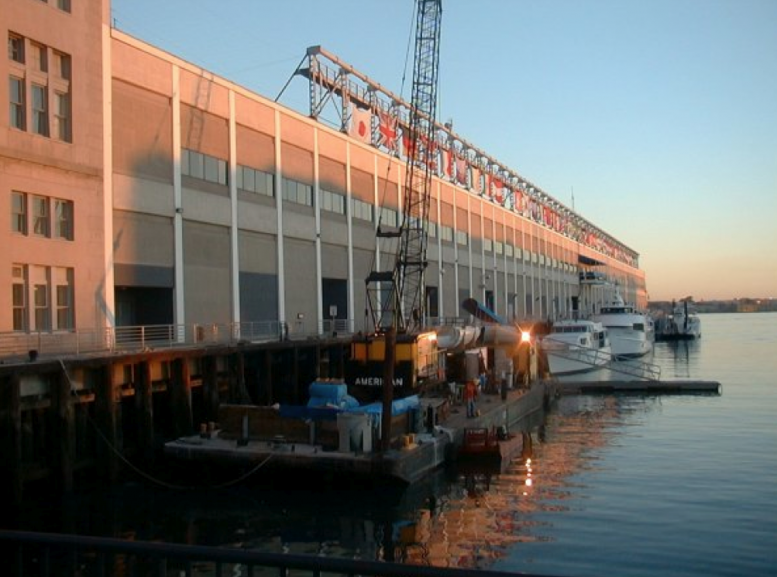 Childs Engineering Corporation performed a detailed inspection of the apron, underdeck, and topdeck structural systems. Portions of the inspection were performed under semi-dry conditions at low tide, from a water based platform at high tide, or by implementing the use of Childs’ engineer/divers. Structural components that were inspected consisted of longitudinal and transverse steel and concrete beams, beam connections to supporting caissons, and caisson steel jackets. They were observed for general condition and section loss. The topdeck and underdeck systems were inspected for signs of deterioration in the reinforcing steel, concrete matrix or structural cross-section. As part of the ongoing project, the results of the inspection were reviewed and an appropriate methodology for repairs was developed and applied. A phased approach to construction was undertaken with implementation over 3 years. Childs prepared and filed for the regulatory permits, designed repairs, and oversaw construction.